Brits will be returning from their annual summer holidays with more than a tan and happy memories, as a new study reveals over a third form lifelong friendships with fellow holidaymakers. 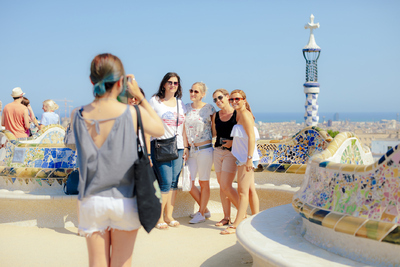 Research found 36 percent of all Brits remain in contact with friends they met when on holiday, with nearly a quarter arranging to meet up after their trip. According to the study by leading online travel agent Travel Republic, 23 percent of Brits admit they are more likely to make friends with people they didn’t know when on a beach holiday than at home. Research also revealed feeling at ease was the main reason people are more open to making friends when on holiday with over half of holidaymakers revealing they feel relaxed when on holiday. Having the time to have a long talk with someone and having no distractions were other factors for British holidaymakers. The survey also revealed young (16-29) men from Sheffield, were most likely to make lifelong friendships whilst on holiday; with over half of people from Sheffield keeping in touch with friends made on holiday. In comparison to older (45-59) women from Bristol, as results reveal just 27 percent remain in contact with holiday friends. Travel Republic has a great variety of last minute summer deals to popular beach destinations, to help blossom new lifelong friendships. As an example, a couple can travel from Glasgow to Crete for one week in September, and stay at 4* Galaxy Villas, Crete on a B&B basis from as little as £319pp.